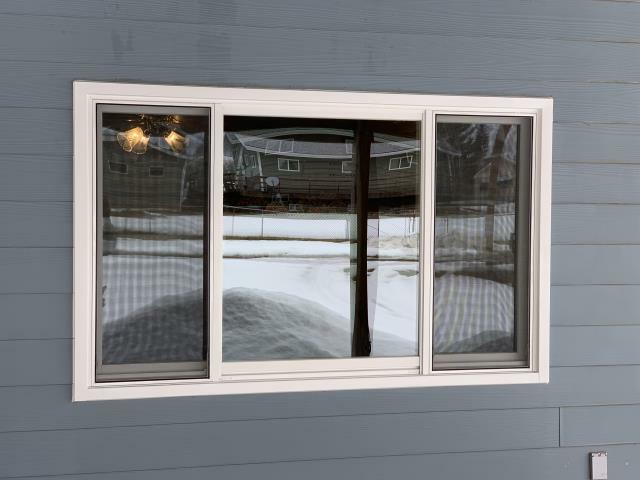 When looking for replacement windows and patio doors in Butte, MT, you should consider energy efficiency, durability, aesthetics, and longevity. If you invest in products from Renewal by Andersen® of Montana, you get all of these features and more. We are your leading source of different window styles and patio doors that will surely meet your needs. Renewal by Andersen has installed more than two million windows across the U.S., ensuring savings and comfort in various homes. We are certified to install Renewal by Andersen windows and doors. We take pride in our attention to detail and accurate measurements that will give you windows and doors that will last for years. Our windows are made of Fibrex®, a composite material that will not rot, pit, or corrode. It lasts longer than vinyl or wood and will not expand nor contract over time. It comes in various colors that will surely match your home’s theme. Our French and sliding patio doors, on the other hand, come with high-quality wood frames with either urethane base finish or rigid vinyl sheath. They come with durable hardware that ensures security and safety for your home. You can also choose from different grille patterns to add an extra aesthetic factor to your patio doors. We protect your investment with strong warranties for your peace of mind. We offer a 20-year limited warranty for our insulating glass. It is warranted not to develop any material obstruction of vision under normal use and conditions. We also offer a 10-year warranty on components other than glass. All Fibrex components are warranted not to flake, blister, peel, corrode, pit, or rot under normal use. This warranty also covers locks, balance systems, handles, lifts, insect screens, and weatherstripping. We are also proud to offer a two-year warranty on installation. If your window or door fails within two years of the installation date, we will bring the workmanship up to standards for free. Renewal by Andersen of Montana is your leading source of top-notch windows and patio doors in Butte, MT. Our products will make your home more comfortable, brighter, and more beautiful inside and out. They can even help you save money in the long run. If you want to learn more, call us today at (406) 259-3944. You can also fill out our contact form. We’ll be happy to give you a free consultation and estimate.